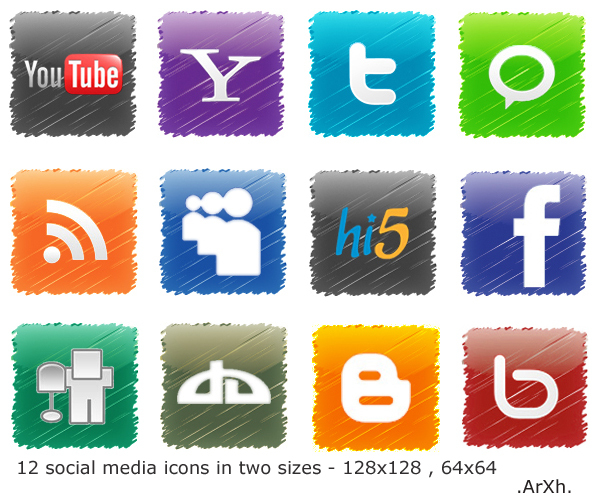 Nice icons! Thanks for sharing. can you pass me the source files to edit icons? I need to add the icon Linked In. Wow these are great! Thanks for putting these together. Love these. Would like to have LI also. Do you have one for LI? Do you have the original photoshop file for these? I was wondering if I could use it to make custom ones for things like spreadshirt and other youtubers. What amazing work. Thank you so much. Would you happen to have the psd of the background? I would like to make my logo have the same feel. And how to I get a different color? i have the background in .ai format... u can change the color in photoshop with color balance and hue & saturation . I have Illustrator CS5, but I cant find any filters, graphic libraries, etc. that look like that. Curious what did you use? Well, I created those icons an year ago! I dont really use illustrator much, so i dont remember what did i do. thanks. have sent a facebook friend request. Great icons. Using them on my Nokia N900. 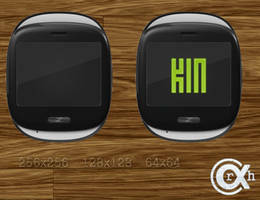 Any chance you could send me the psd file so I can make some custom ones for myself? i have a psd file only for the blue block, you can change the colors in PS by 'color balance'. Pls let me know on facebook(link below) if you want it. hey... i hav uploaded .png format..